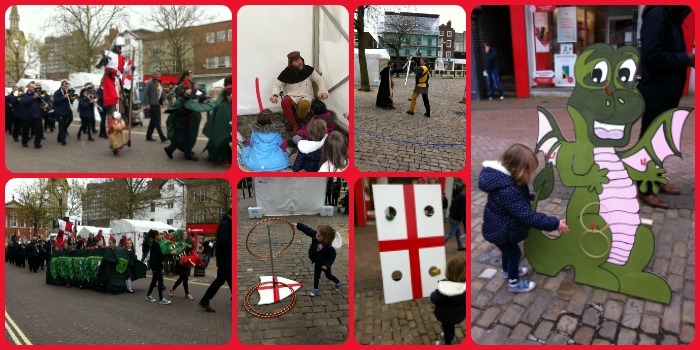 Last weekend there were a couple of events taking place in Aylesbury to celebrate England's patron saint - St George. 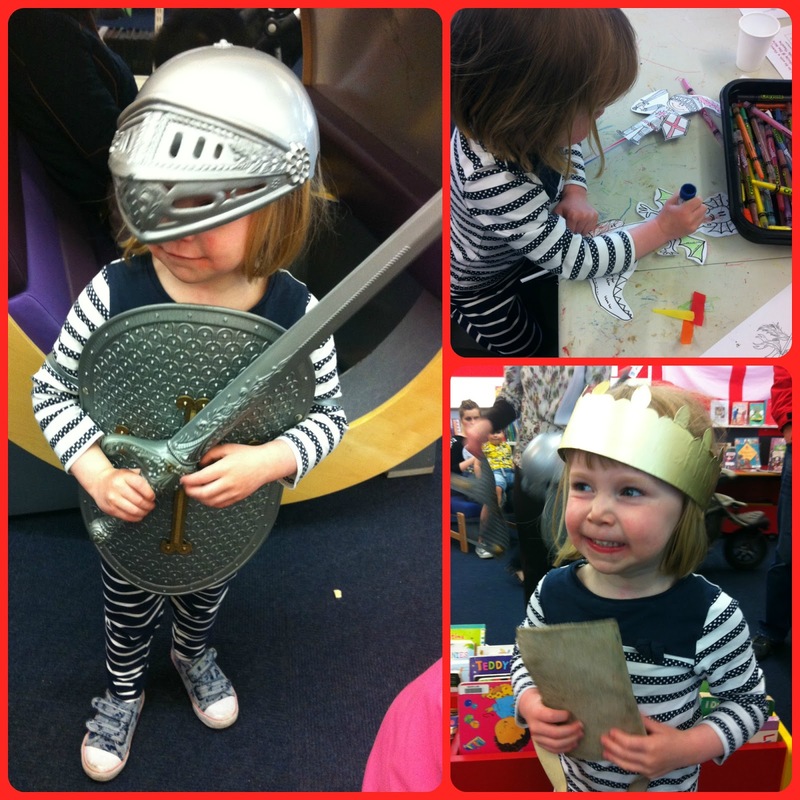 On Saturday I took Little Miss A to the library for their free crafts and storytime. She really enjoyed dressing up as George for the re-enactment of the story. On Sunday Aylesbury Town Council had organised a family fun day to celebrate Saint George. As with all their events, all of the entertainment, games and activities were free. We got there just in time to catch the scout parade led by The Amersham Marching Band. 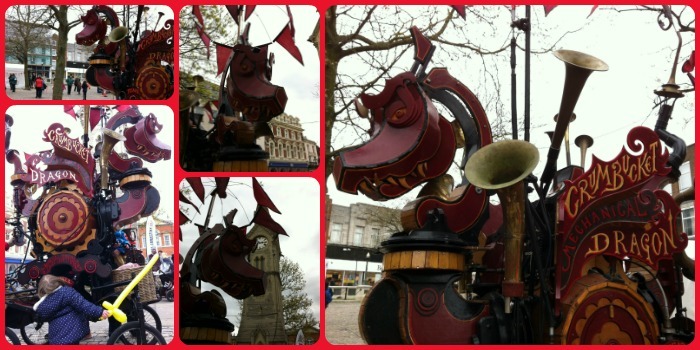 There was a St George on stilts and The Broughton Junior School dragon. Once this had passed, we started to explore the activities. Firstly we had a go on the games - the dragon hoop-la was Little Miss A's favourite! Little Miss A spotted lots of children with balloon swords so of course she wanted one! Then we found the craft tent where we painted a pottery butterfly. Little Miss A also sat for a little while and listened to the storyteller telling a tale. The most intriguing thing was the mechanical, bubble blowing, breathing dragon. There were lots of handles to turn that made the dragon do different things. It was fascinating. It's worth keeping an eye on both the Aylesbury Library and Aylesbury Town Council Facebook pages for their events as there's always lots going on and all for free!